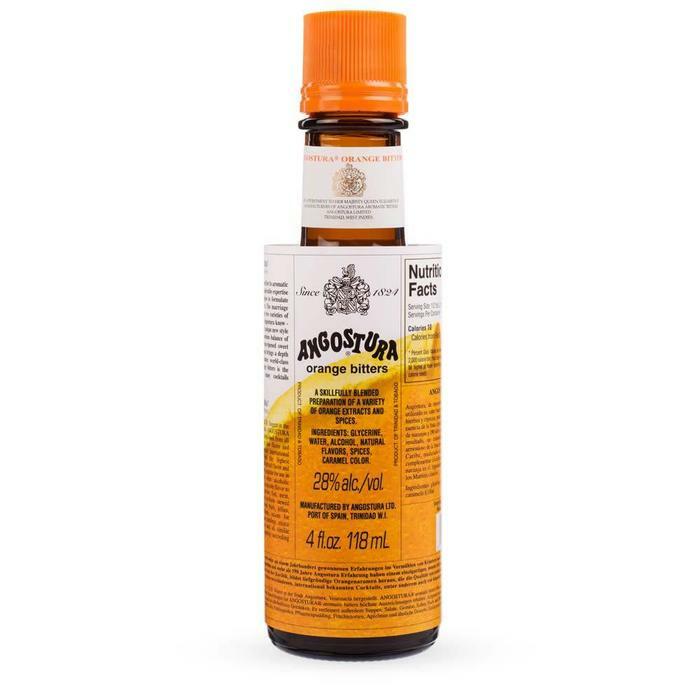 Angostura Angostura Orange Bitters, 4 oz. Home / Angostura Orange Bitters, 4 oz. A fantastic Orange Bitter from the House of Angostura. Great for aged spirits. Angostura® orange bitters is made from the peels of sun-ripened Caribbean oranges grown in lush, green orchards located in Trinidad. These oranges are hand-picked by select citrus growers and harvested only within the rainy season to ensure ultimate freshness and taste. Clear and with an unparalleled depth of flavour, Angostura® orange bitters is an exotic and versatile bitters that works incredibly well with vodka, gin and whisky, and adds real depth of flavour to rum cocktails. Its complexity and layers of flavours also makes it a culinary must-have ingredient. World renowned chefs have found that it works particularly well in savoury sauces, it complements seafood dishes, and marries well with chocolate.